The senior steward of Norwich II., has been a life-long associate of Dereham Road Church. His parents were fifty years ago pioneers of the Sunday School and now at seventy-eight are regular attendants at the services. 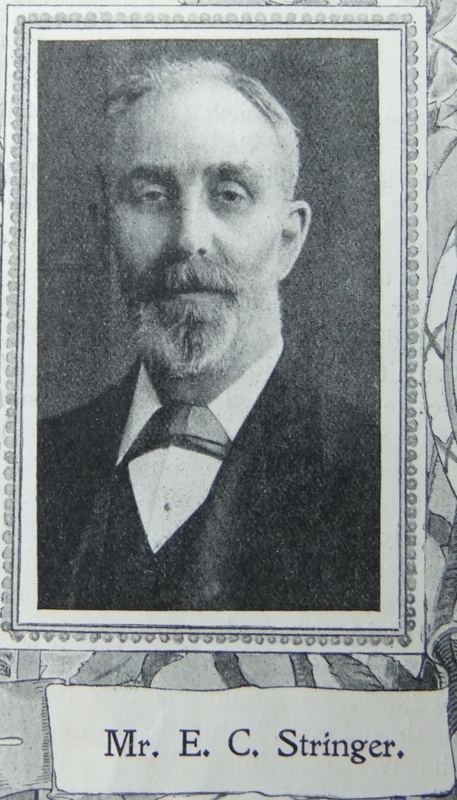 Mr. Stringer has had an official connection with the school, the largest in the Norwich District, since he was ten, a period of thirty-eight years. Superintendent for twenty years, and secretary for the scheme for the extension of the school and church, he is an enthusiast in Sunday School work. He is also a trustee for two of our Norwich chapels. He is Secretary of the Norwich Sunday School Union, and might have had other honours but for his fidelity to his many present engagements. He has several times represented his circuit in the higher courts. As Circuit Steward he followed, with brief interval, Mr. James Frost, the respected Steward for many years. He is aided in his work by his devoted wife, who is constant in her endeavour to promote the interests of the Church. Edward was born abt 1859 at Norwich, Norfolk, to parents William and Emily. William was a blacksmith. Edward trained as a printer compositor. The 1901 census return describes him as a printer’s manager. By 1911 he was working as a commercial traveller (printing). Edward married Alice Jane Smith (1858-1914) in the spring of 1881. Census returns identify two of eight children.